Though it was Purvi and Aakash’s birthday, Sumit felt it was his birthday. How lucky should be a friend who feels it’s his birthday, while he has his two best friend’s birthday! After the work, they all decided to meet at “Dagadusheth Ganesh Temple”. It was first time Aakash met Purvi. They both wished each other for birthday after hello – hi and walked inside the temple. Purvi walked ahead, behind was Sumit and followed by Aakash. It felt like for every step they kept there was musical beat on. They took the blessings, sat in peace for a while and moved to nearby restaurant. They ordered paratha’s and for a change, it was sumit’s treat. They had the introductory talks while dinner, however most of the times, they all were silent. Sumit and Aakash dropped Purvi and returned back to PG. Well, before moving ahead, it is right time to know a little more about each of them. And trust is his synonym! And care is his synonym! And hope is her synonym! Lovely story! Full of beauty. That Ganesh Temple is amazing Prakash! And the story is unfolding & I wonder what will happen…. 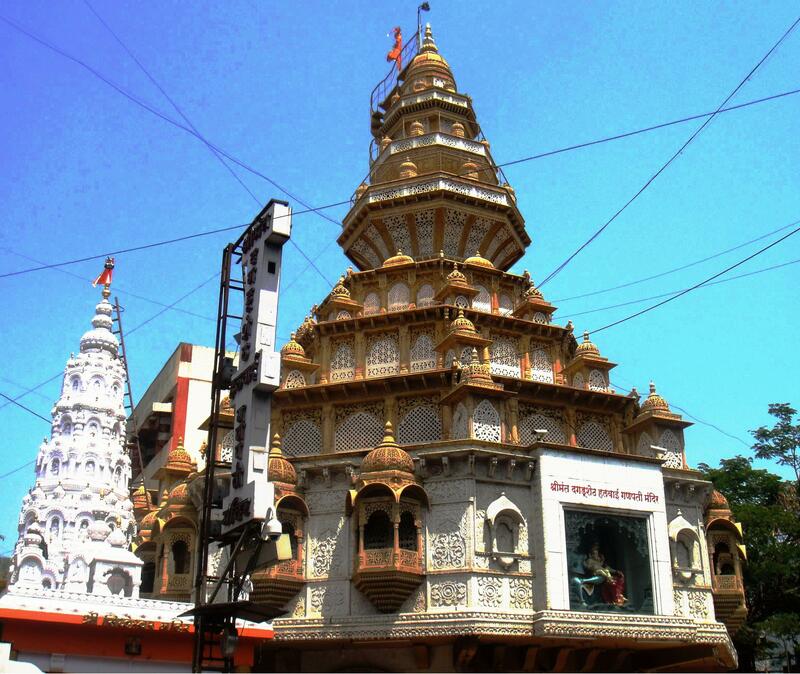 I was in Pune for 6 months and visited this temple ample of times. It was my favorite place of visit. I must look Pune up…it sounds like a wonderful place!